- A single delicate strand of sterling silver weaves in-and-out, up-and-down, to form an intricate five-point star. Where will your star lead you? Pendant measures 1 3/8" tall, including the bail. Comes with an 18" sterling chain. 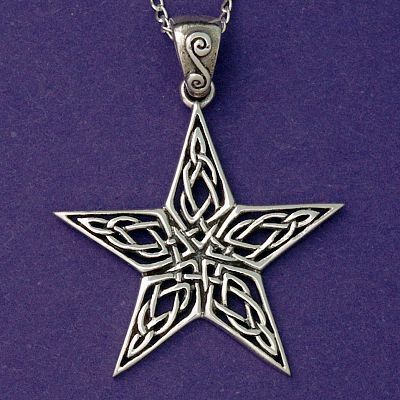 Do you have any other questions about our Silver Knotwork Star Pendant?